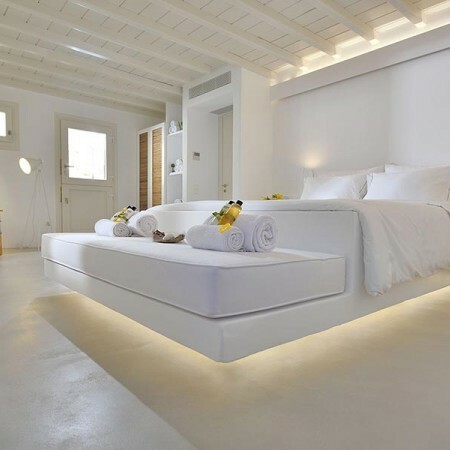 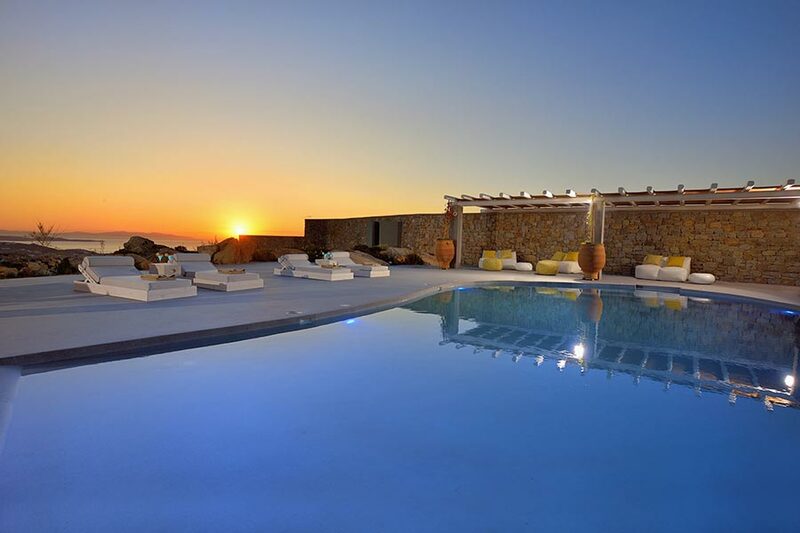 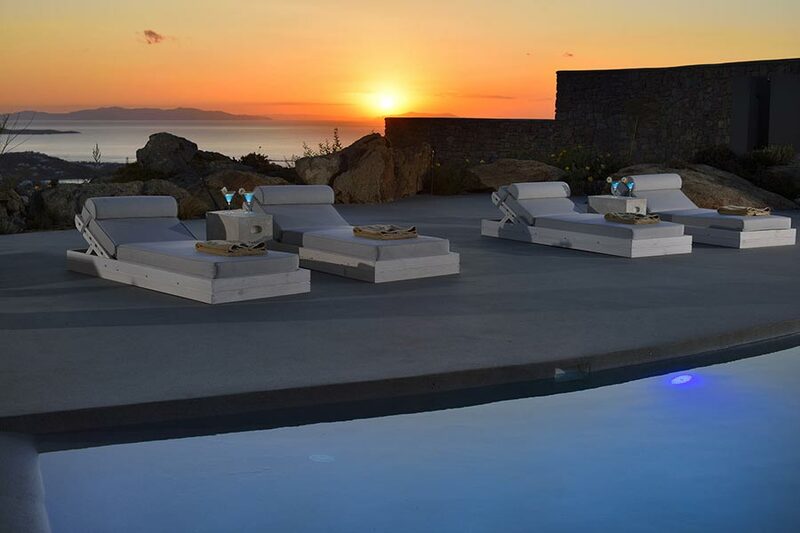 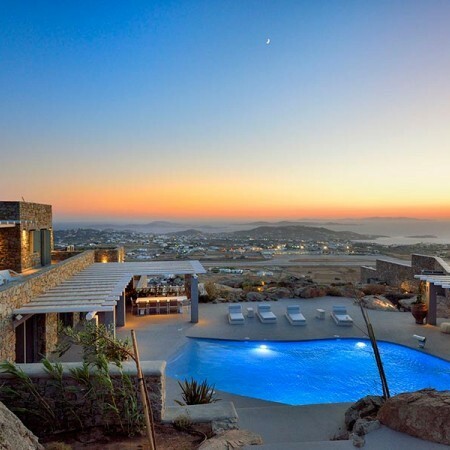 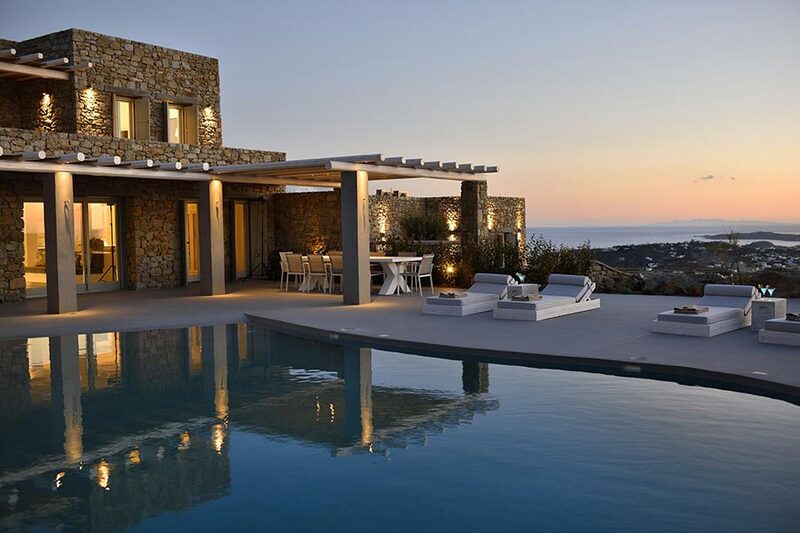 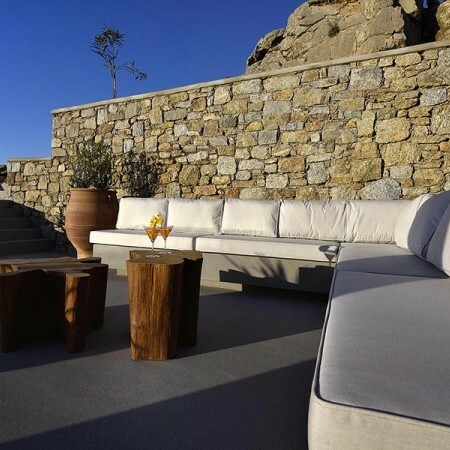 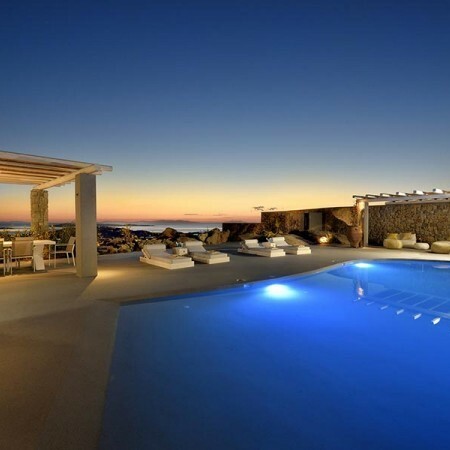 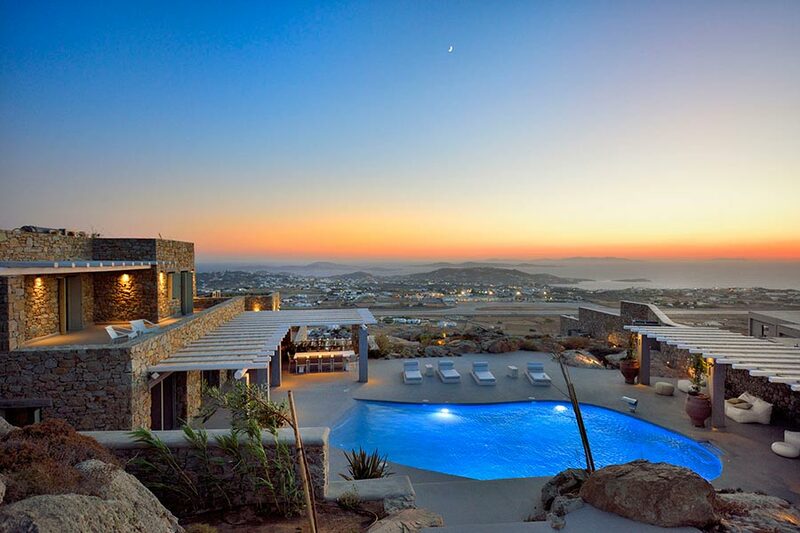 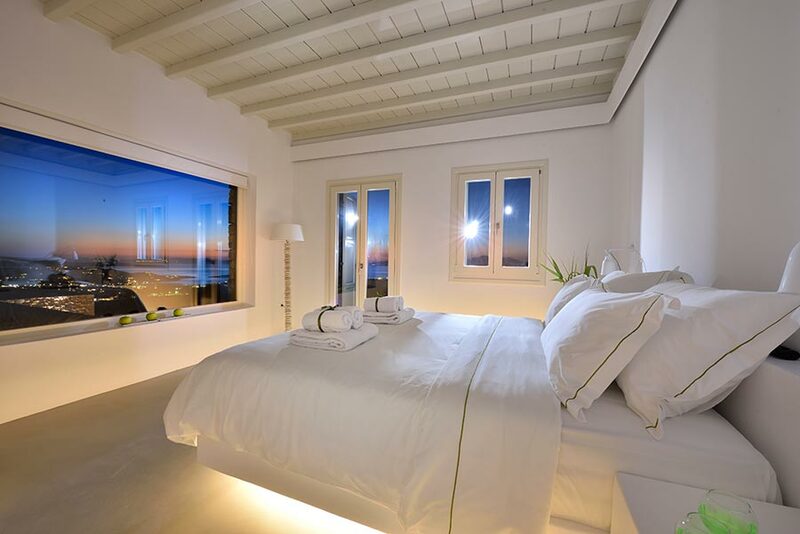 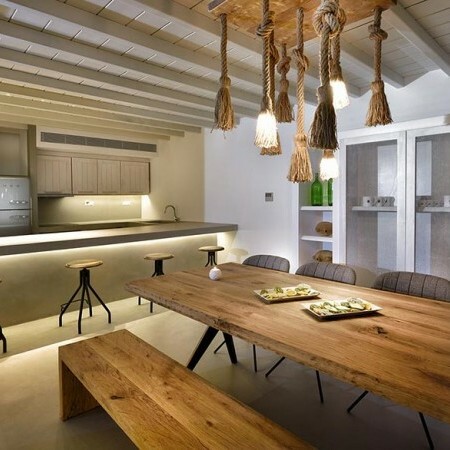 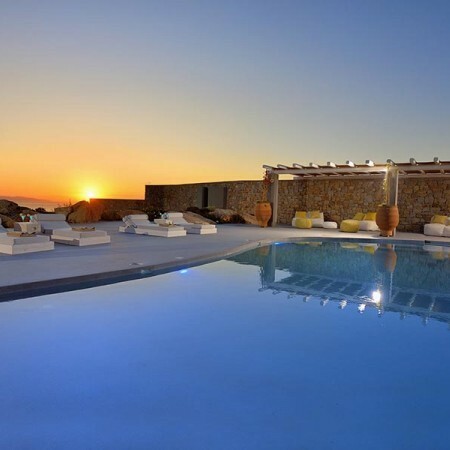 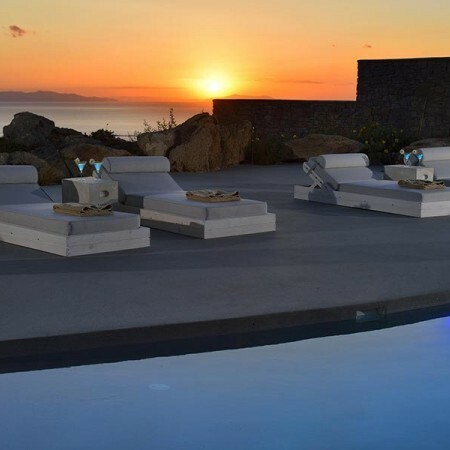 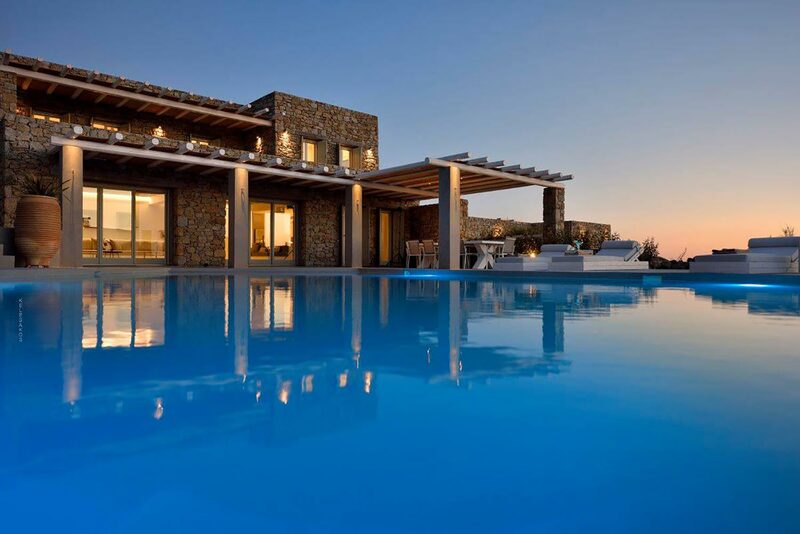 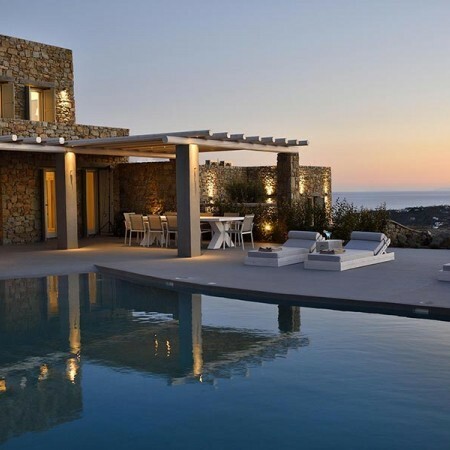 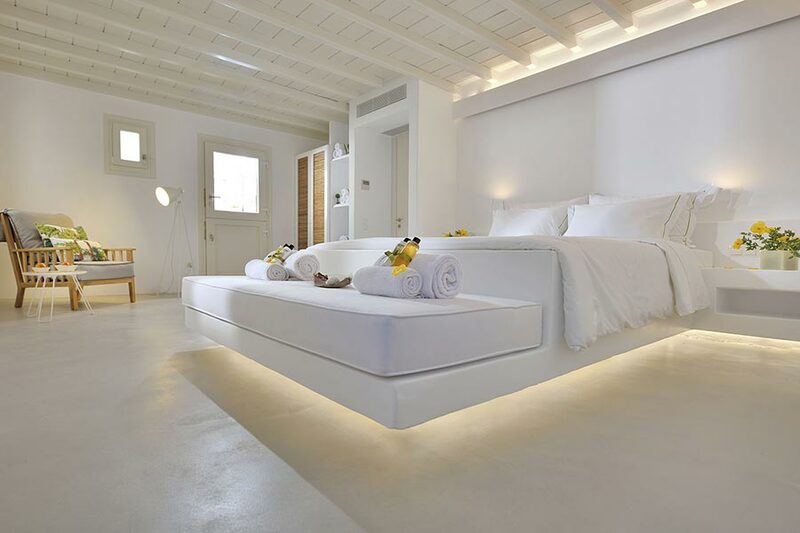 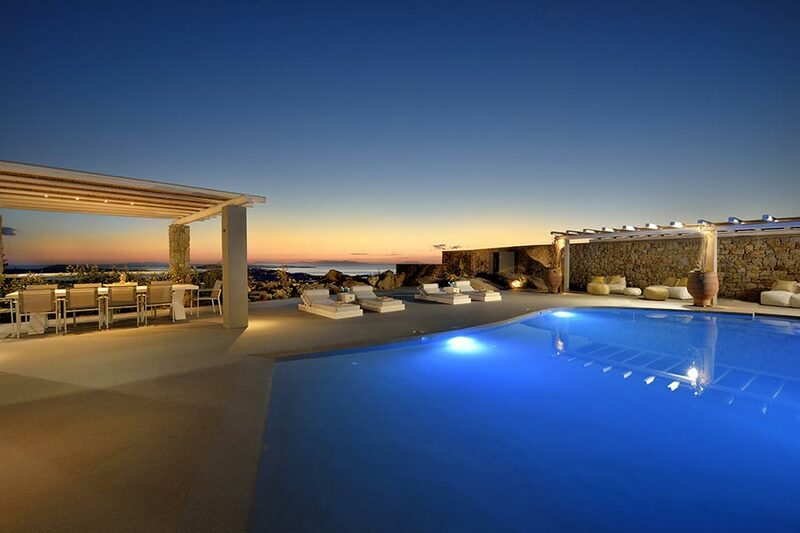 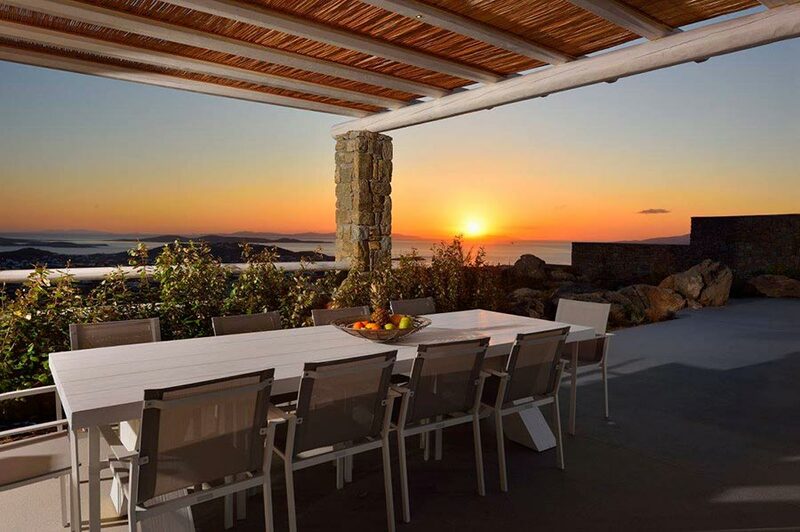 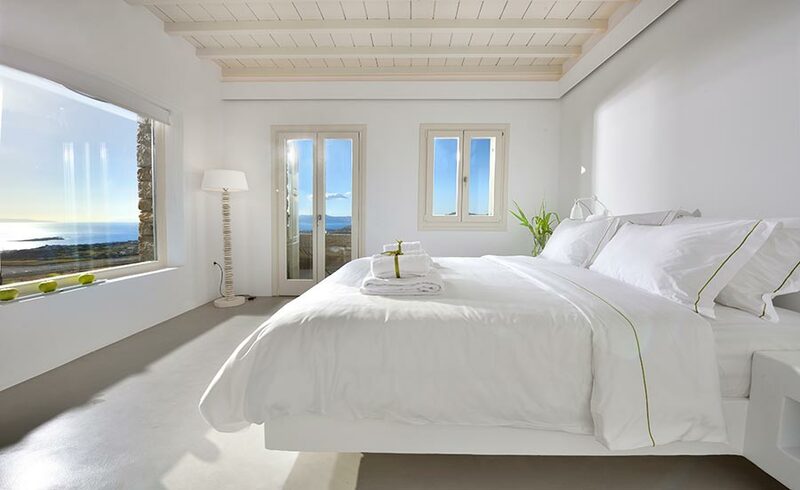 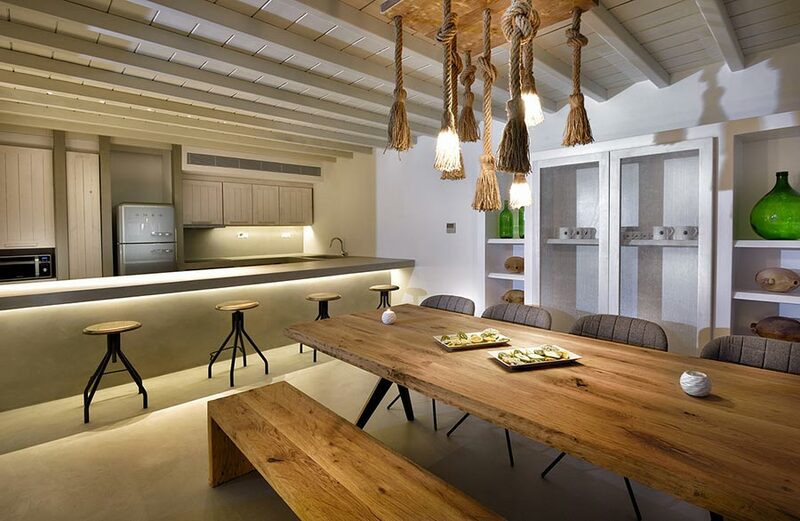 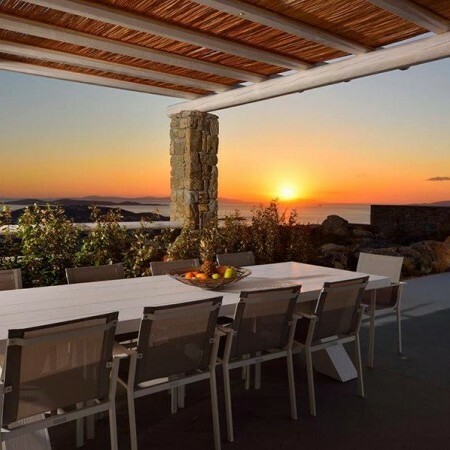 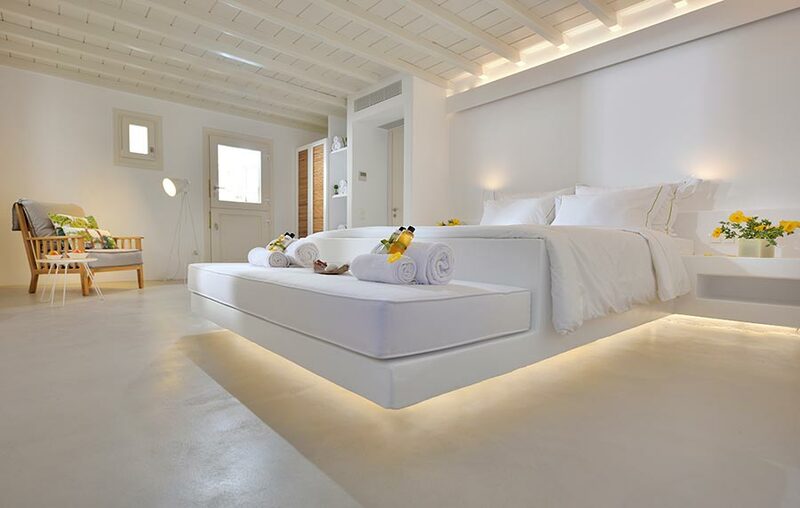 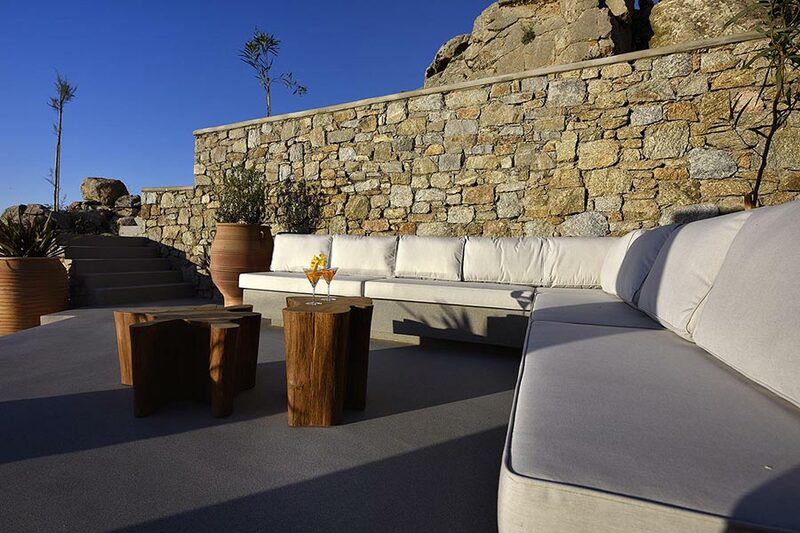 Villa Kyanite is the villa with the dreamiest outdoor area of 500sqm in total. 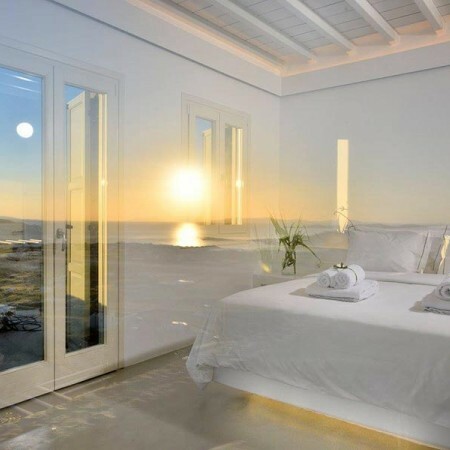 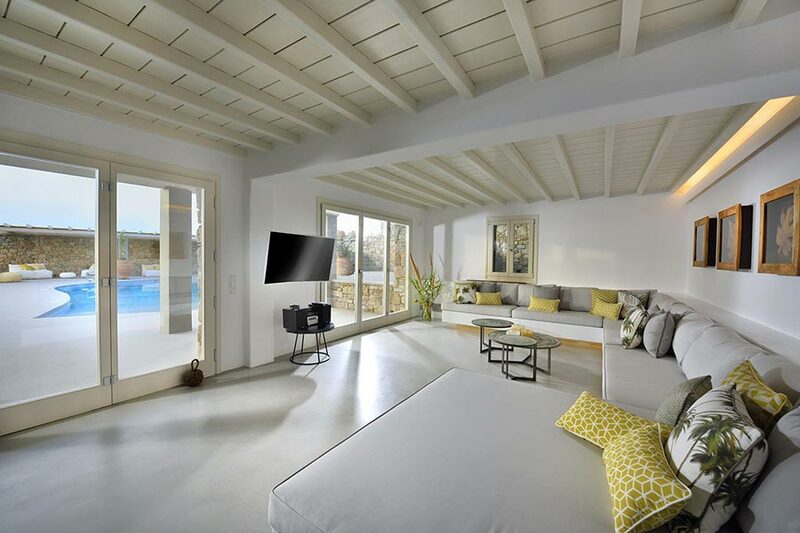 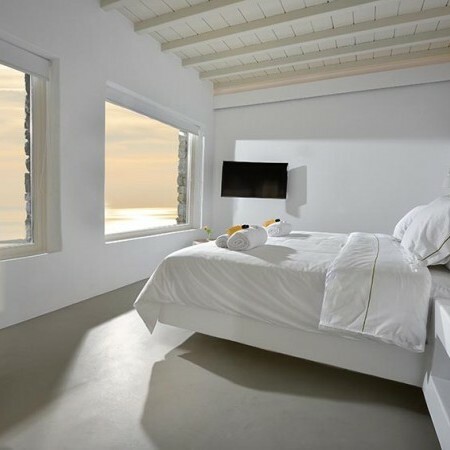 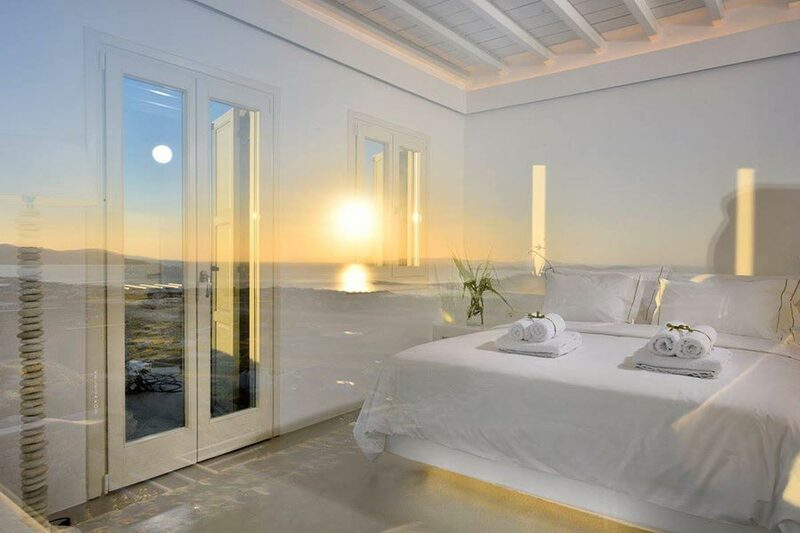 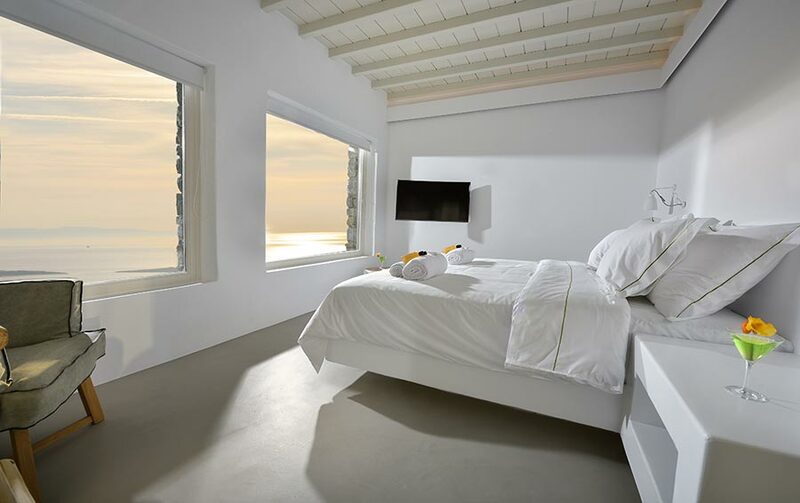 Sofa beds, sun beds and three levels of patios with comfortable cushions and private pool with Jacuzzi (100sqm) are only some of its endless characteristics. 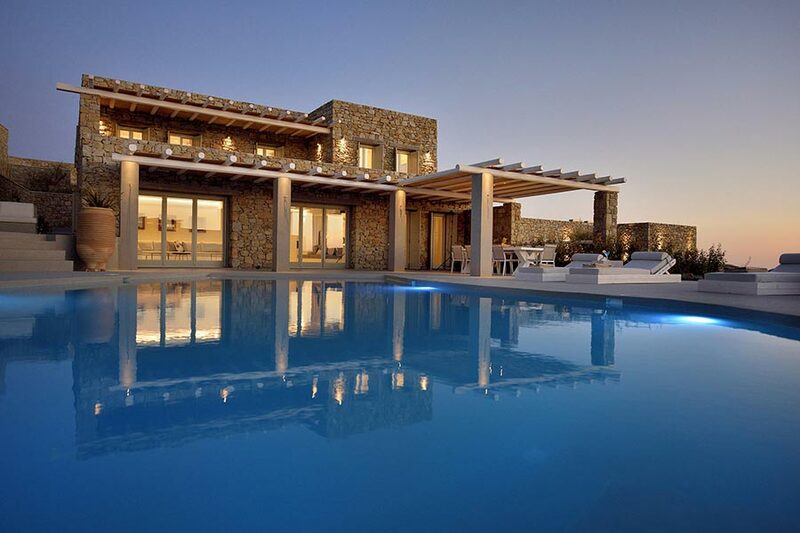 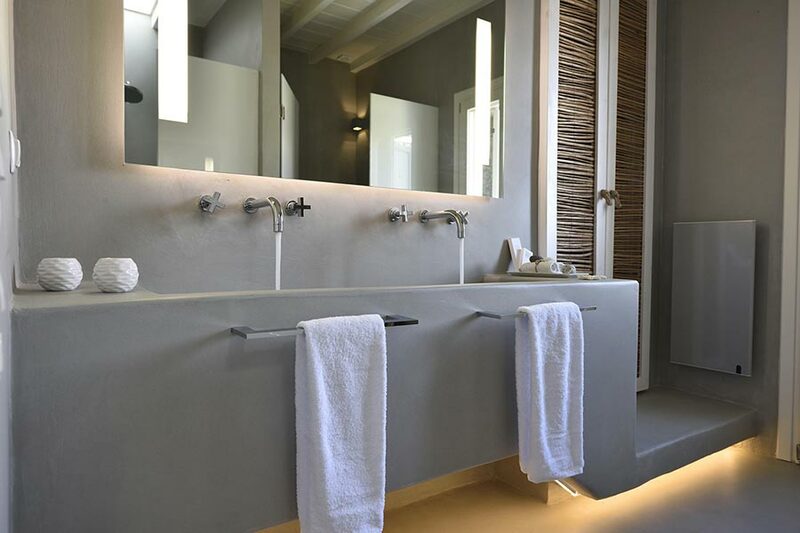 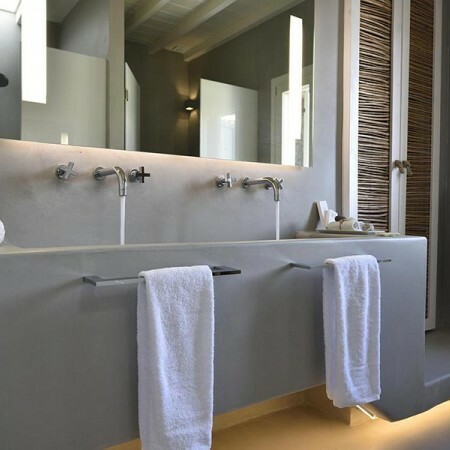 Villa Kyanite with two levels of accommodation, one can find on the ground level 2 large bedrooms with en suite bathrooms, state of the art living and dining room, fully equipped kitchen, WC. 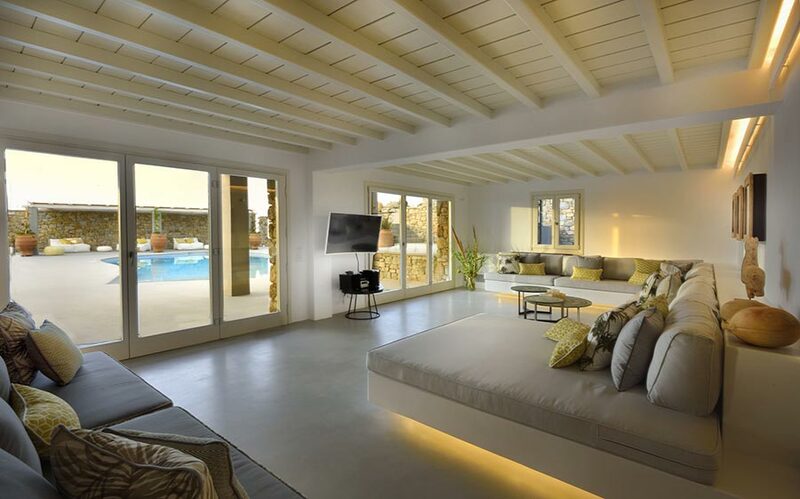 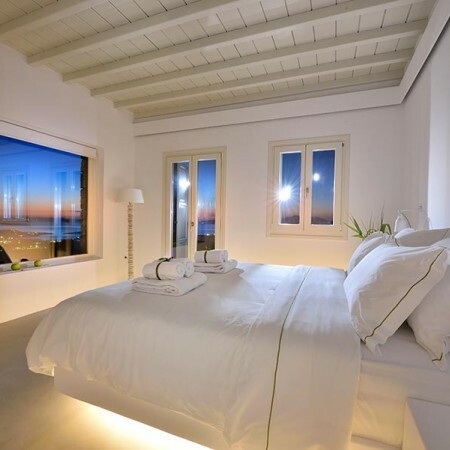 On the upper level are 3 large bedrooms with en suite bathrooms and terrace. 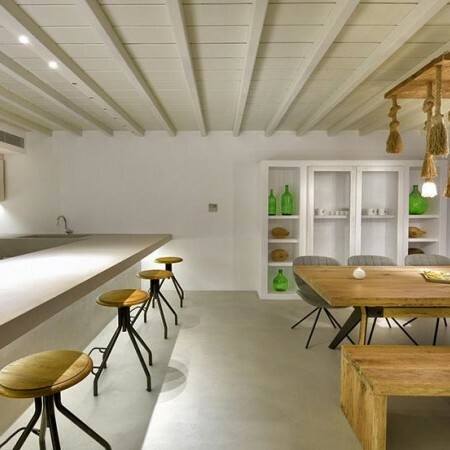 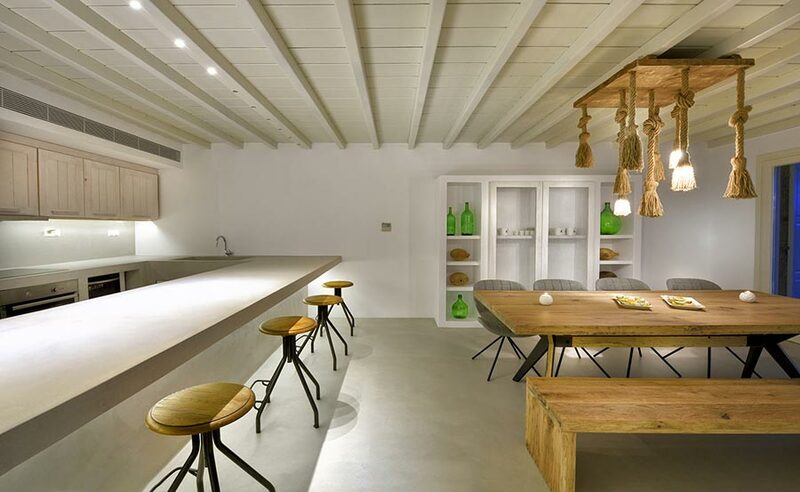 It can easily accommodate up to 10 guests.